Spring is coming soon and I've been looking at the collections again, there are so many pretty things! 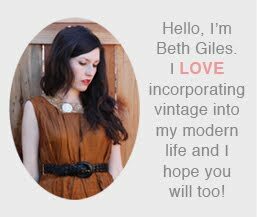 As usual, there are lots of styles derived from vintage inspiration. 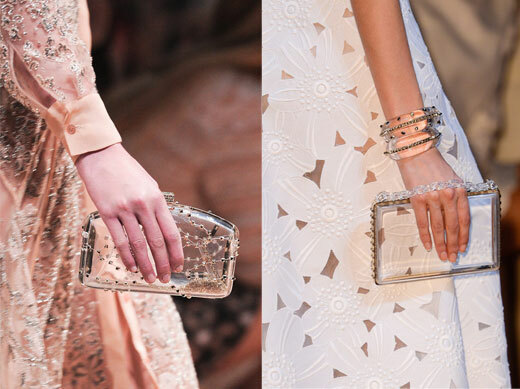 When I saw these transparent clutches from Valentino, I instantly thought of the 1950's Lucite versions. 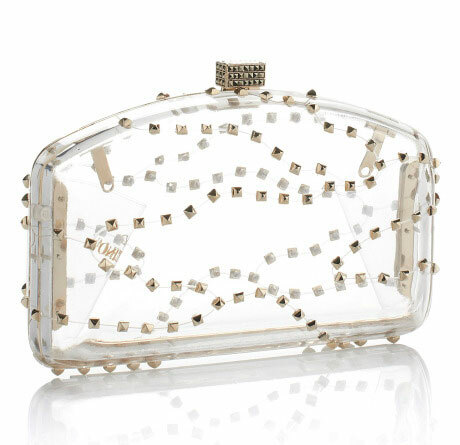 If you don't mind everyone seeing what's inside your bag, these are a fun accessory to carry! You can find vintage versions of these in antique shops and online for a hundred or so dollars as opposed to a thousands of dollars for the runway version. Here are a few I found: 1, 2, 3. This one is a completely different shape, but I love it, and we have this similar one in our shop. 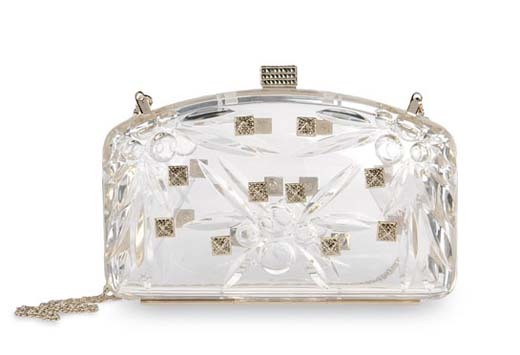 Want to learn a little more about the history of lucite bags? See this article from Collector's Weekly.